The Rubber Cafe Design Team Blog: Hello, friend. Good morning. Hope you are having a fantastic week. 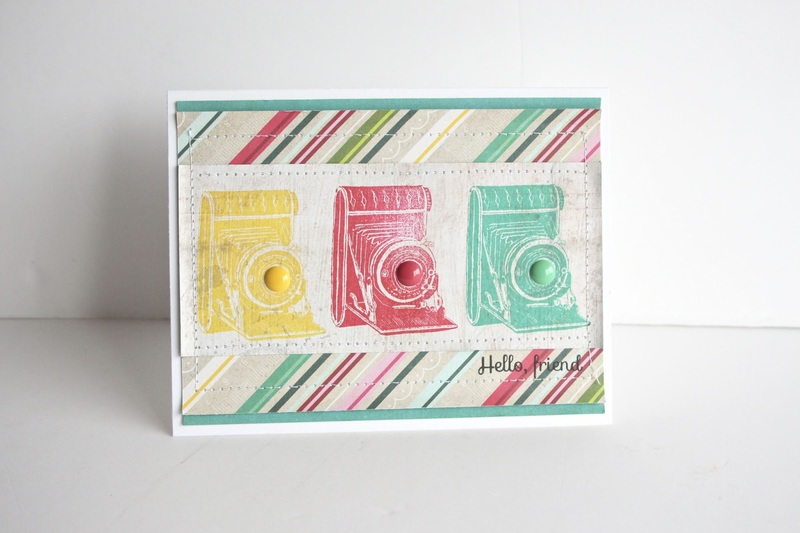 I am here to share another card I created using April's Creative Cafe'- Good Times to Follow. This camera is from the add on stamp set - Those Were Good Times. It is a must have set! If you were here last week, you read that I let my son decide which order I should share my cards with you. This one is his favorite! I originally thought I would stamp this camera with black. I decided against that, wanting to add color to my card rather than the vintage feel. I dug out older ink pads that matched the enamels that were included in the kit. I started with an A2 White Card base. Cut a slightly smaller 4 x 5 1/4 piece of teal, 3 3/4 x 5 1/4 piece of striped paper and a 2 1/4 x 5 1/4 piece of white woodgrain. Before adding the woodgrain, I stamped the images then attached. 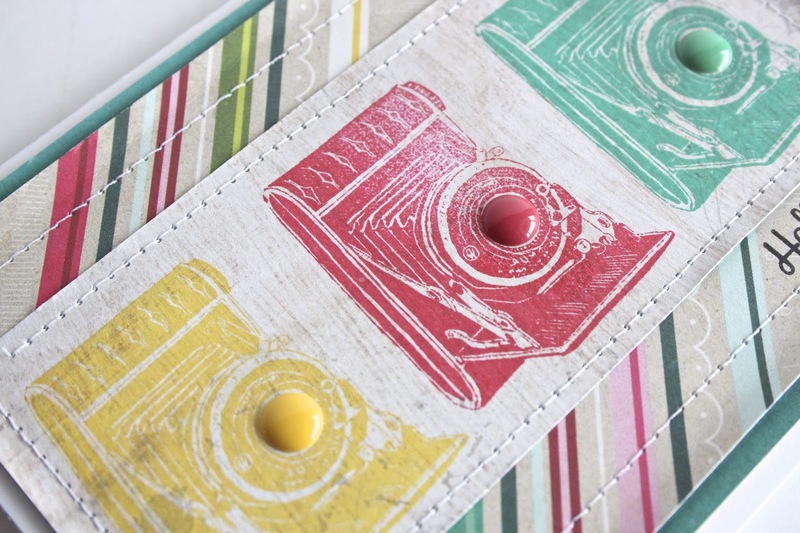 I machine stitched around the edges and added my enamels to the center of the cameras. Add your small sentiment and that is it! Card complete. Hope you will check back next week for my next card. Absolutely love this. The bright colors are simply fabulous!